NewsBusters reported that the New York Times offered a similar correction June 29 at the bottom of a story titled "Trump's Deflections and Denials on Russia Frustrate Even His Allies." While the remark about all 17 organizations agreeing on Russian interference has been widely repeated by politicians and media members, former Director of National Intelligence James Clapper debunked the notion when he testified on Capitol Hill on May 8, the Daily Caller reported. "The [intelligence community assessment] was a coordinated product from three agencies: CIA, NSA and the FBI, not all 17 components of the intelligence community. 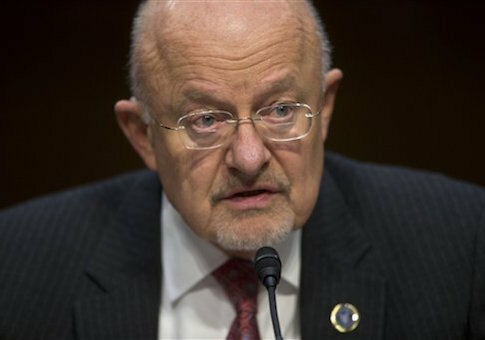 Those three, under the aegis of my former office," Clapper said. "Following extensive intelligence reporting about many Russian efforts to collect on and influence the outcome of the presidential election, President Obama asked us to do this in early December and have it completed before the end of his term. "The two-dozen or so analysts for this task were hand-picked, seasoned experts from each of the contributing agencies. They were given complete, unfettered, mutual access to all sensitive, raw intelligence data, and importantly, complete independence to reach their findings. They found that the Russian government pursued a multifaceted influence campaign in the run-up to the election, including aggressive use of cyber capabilities. "The Russians used cyber operations against both political parties, including hacking into servers used by the Democratic National Committee, and releasing stolen data to WikiLeaks and other media outlets." Hillary Clinton stated at the Oct. 19 debate that 17 intelligence agencies had concluded the espionage and cyberattacks originated from the Kremlin and were designed to influence the election, although she did not say it was to help Trump win necessarily. PolitiFact rated her remark "True." This entry was posted in National Security and tagged Donald Trump, Hillary Clinton, Intelligence, James Clapper, New York Times, Russia. Bookmark the permalink.